Wednesday proved to one crazy day in Red Sox Nation. The Red Sox management contingent featuring Theo Epstein, Larry Lucchino and Tom Werner, negotiated into the early hours of Wednesday morning with Daisuke Matsuzaka's agent, Scott Boras, in Southern California. 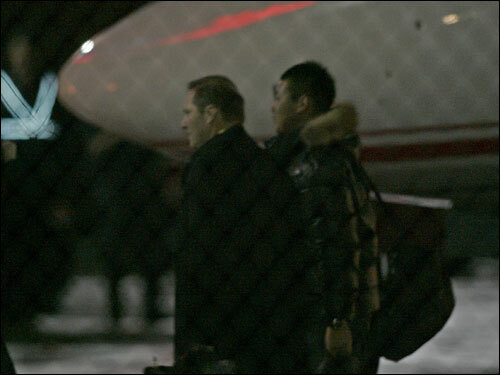 By the early evening, Matsuzaka and Boras had touched down with Red Sox management at Hanscom Air Force Base.